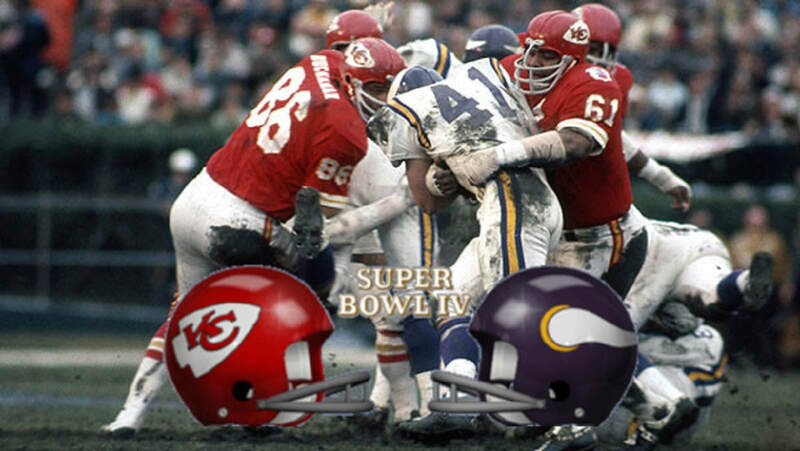 On a muddy field in Tulane Stadium in New Orleans, the Kansas City Chiefs would net the AFL's second Super Bowl victory as they overpowered the favoured Minnesota Vikings by a score of 23-7. The victory cemented the American Football League's equal standing with the old-guard National Football League right before the AFL-NFL merger. The Minnesota Vikings, who had lost only once all season, were dominated in the first half as they Chiefs methodically carved out a 16-0 halftime lead. 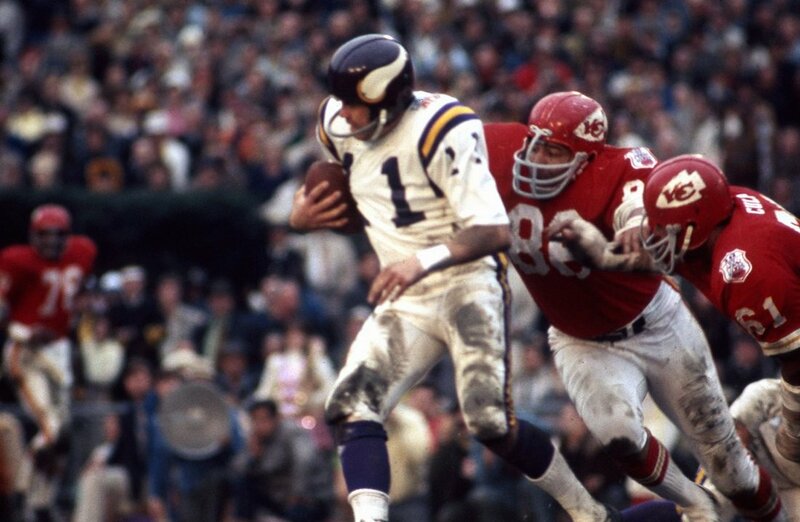 Despite an initial solid drive to open the second half, that resulted in the only Minnesota Vikings touchdown of the game off the back of a short touchdown run by Dave Osborn making the score 16-7, the Chiefs would assume control on both sides of the ball. 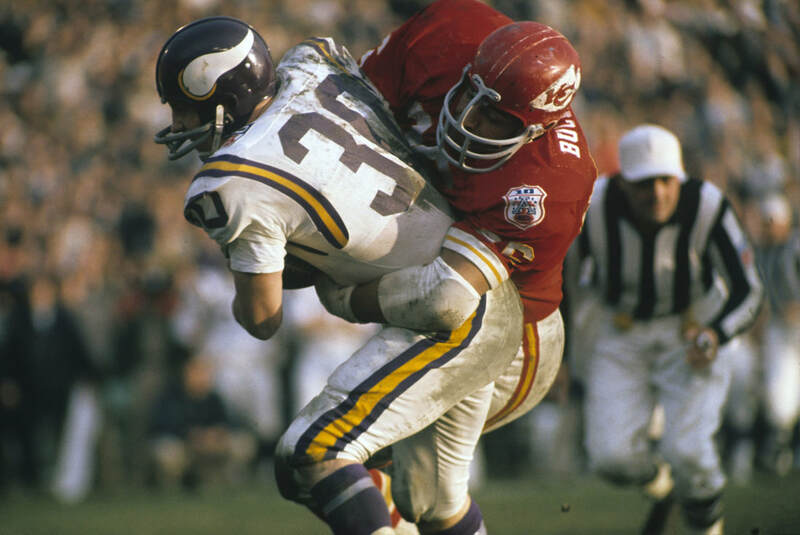 While Otis Tayler took a short pass 46 yards to finish the scoring for the afternoon, the Chiefs ferocious defense would knock the Vikings starting signal caller, Joe Kapp, from the game as he rolled out attempting to pass. The contest was the last Super Bowl played under the AFL-NFL moniker as the two leagues would merge prior to the 1970 season and play as the AFC and the NFC under the NFL name. Perhaps fittingly, of the four Super Bowls truly contested between two separate leagues, both the long-established NFL and the upstart AFL each won two games. 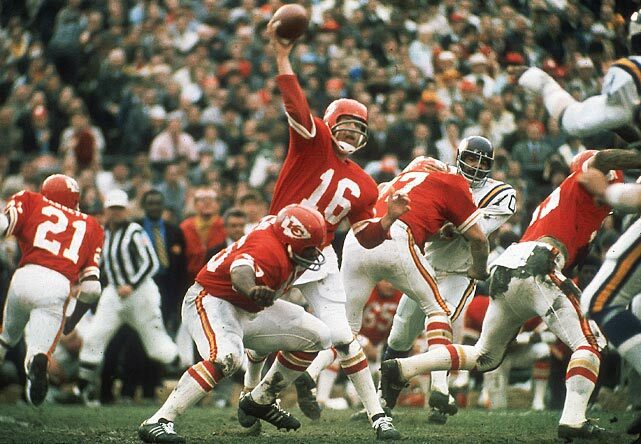 Kansas City QB, Len Dawson, won the MVP award as he completed 12 of 17 passes for 142 yards and a touchdown. Kansas City head coach, Hank Stram was the first coach to be "wired" by NFL Films for a Super Bowl. Once again, despite the game selling out, the areas in the New Orleans immediate vicinity were not permitted to broadcast the game live due to the "blackout rules" of both leagues. Although he would eventually win the MVP award, Kansas City Chiefs quarterback, Len Dawson, would have his name linked to a gambling syndicate in Detroit, Michigan. He would later describe the days leading up to the big game as being "beyond doubt, the toughest week of my life!" You can read more about that here, and check out the video below that looks specifically at this backstory. Kansas City Chiefs head coach, Hank Stram, would make NFL history when he agreed to be the first head coach to mic'd up on the sideline of a Super Bowl. Some of the soundbites and commentary he offered are not only a great insight into life on the sidelines of an NFL game of the era but a great peek at the personality of Stram. By contrast, Stram's opposite number, Minnesota Vikings head coach, Bud Grant, gained the rather dubious honour of being the first head coach in Super Bowl history to "not wear a tie" on the sideline during the game. Check out the videos below. The first three show lost reels of footage from the game, while the others show a snippet of the post-game interviews, as well as a look back at Chiefs head coach, Hank Stram being mic'd up. 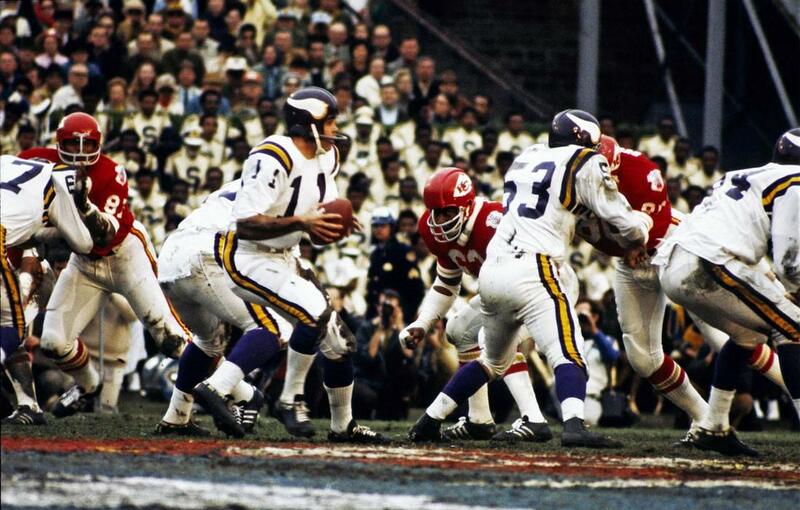 The Minnesota Vikings QB, Joe Kapp, displayed guts, valiance and bravery, but the Chiefs defense was just too punishing.